The small, foxlike Schipperke is known for its mischievous expression and distinctive black coat, which stands off from the body and is harsh to the touch. This enthusiastic, joyful, and sometimes willful dog has a thickset and cobby body, and lacks a tail. Although historically a watchdog and vermin hunter, today this ageless breed enjoys competing in conformation, agility and obedience, often well into its teens. 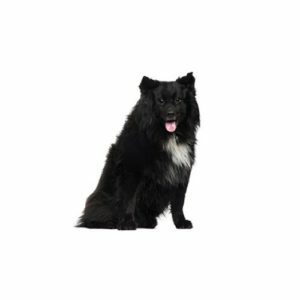 The Schipperke is extremely active and loves to be involved in what is going on around him, but due to their watchdog tendencies, they can turn into barkers if not taught otherwise. Equally happy in an apartment or a home with a large yard, they should be kept on leash when not in a fenced area and be taken to obedience classes. The breed?۪s coat needs only weekly brushing and an occasional bath, although they do shed several times a year. Non-Sporting Group; AKC recognized in 1904. Ideal size: 10 to 13 inches tall at the shoulder. Are you interested in purchasing a Schipperke?